Designers, models, industry, a lot has happened in the fashion industry on the legal front, in the past few months, that I look forward to discussing , in simple English, with you all. In the meantime, July of 2011, I discussed the case of Kim Kardashian v. The Gap. It was a lawsuit where Kim K. sued The Gap for about $20 million, over an Old Navy television commercial that featured a look alike reality star. The case settled late last month. You may revisit the archived case on Fashionentlaw™ here. In my initial discussions, I discussed the ‘Right of Publicity’ claim made by Kim K. As I mentioned, the case has now settled. Now what? Well, it is a good time for me to share five important lessons that many fashion industry professionals seem oblivious to when it comes to Ad campaigns. Lesson #1: Understand it is not just about creating a beautiful ad campaign that markets and sells your products. There are legal rights involved in every aspect of your ad. The rights encompass both copyright and trademark laws. Lesson #2: Speaking of copyright law, designers, especially, you want to be sure you get clearance for the music you will use in your ad. Often, many designers produce ad campaigns with synchronized music they never obtained permission for. I have discussed, on so many occasions on this blog, copyright infringement cases involving use of music without permission. Persons sued have included the very fashionable Mary J. Blige and Entertainment Mogul Jay-Z. Designers, Fashion Advertisers et. al, when you use music in your ad campaign, it has to be cleared. Get clearance otherwise you subject yourself to a lawsuit claiming copyright infringement. Lesson #3: Get your model releases. 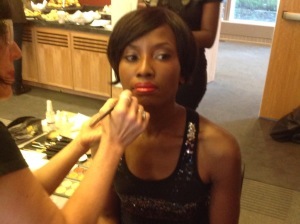 If you are using fashion models from a modeling agency, this will be done via the modeling agency. If you will use independent models i.e. unsigned models, you will need to obtain the release directly from the models. Lesson #4: Get clearances on the photos you will use in your ad. Photographers will not be pleased to see unauthorized use of their photos in your ad campaign. These days, it is becoming harder for photographers to earn a living given the digital revolution, and if you notice, they are suing a lot more than ever before. So, get your photo clearances as well. Lesson #5: Make sure there are no trademark infringements and sort out your Kim K. like ‘Right of Publicity’ issues. Unlike the music industry which is anchored in copyright law, the fashion industry is steeped in Trademark Law. This may change, in future, should the proposed Innovative Design Protection and Piracy Prohibition Act aka Fashion Copyright Bill ever passes. While some of you wait for that to happen, do dot your i’s and cross your t’s to make sure there are no trademark infringement issues or right of publicity issues as in the Kim K., case. For many in the fashion industry, going through the above is such a drag. Understood. However, as we continue to see more litigation and the need for fashion lawyers in the industry, expect to see more people asserting their legal rights, which naturally means more courtroom drama i.e. lawsuits. Prevention is always better than cure. So, prevent the legal drama and litigation costs. 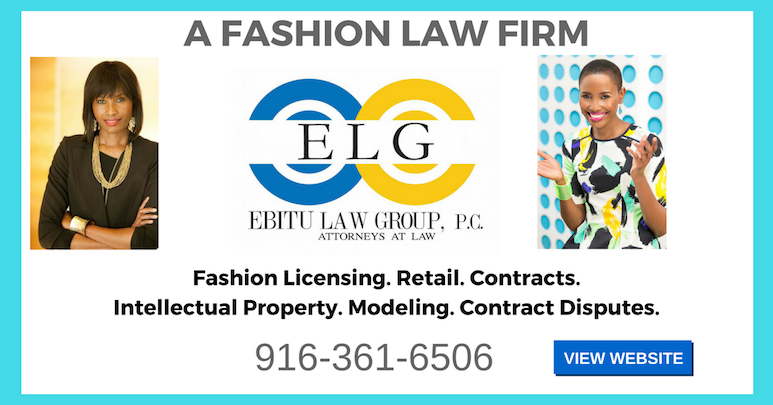 For more information on my post or questions you may have, contact me at (uduak@ebitulawgrp.com) or in the alternative, contact my office at 916-361-6506.